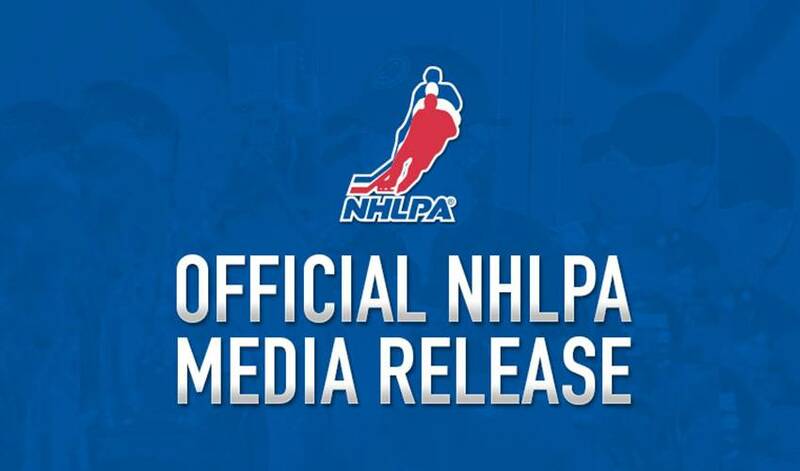 LAS VEGAS (June 20, 2012) – The National Hockey League Players’ Association (NHLPA) today announced Evgeni Malkin as the recipient of the 2011-12 Ted Lindsay Award, presented annually to the “Most Outstanding Player” in the NHL as voted by fellow members of the NHLPA. Ted Lindsay was on hand to present the players’ award, along with celebrity presenter Cory Monteith from the hit TV show “Glee”, as part of the 2012 NHL Awards which were held at the Encore Theater at the Wynn Las Vegas. The finalists for the 2011-12 Ted Lindsay Award, Henrik Lundqvist of the New York Rangers and Steven Stamkos of the Tampa Bay Lightning, were also in attendance. Evgeni is now the fourth Penguins player to receive the “Most Outstanding Player” award as voted on by the players. He follows former Penguins forwards Mario Lemieux (1985-86, 1987-88, 1992-93, 1995-96) and Jaromir Jagr (1998-99, 1999-00, 2005-06), and current teammate Sidney Crosby (2006-07). The native of Magnitogorsk, Russia led all NHL players in 2011-12 regular season scoring (109 points) to earn his second Art Ross Trophy (2008-09). He also finished with more than 100 points in a season for the third time in his career, while finishing third in assists (59) and second in goals (a career-high 50). In recognition of being named the 2011-12 Ted Lindsay Award winner, Evgeni was presented with an elegant men’s watch from Breitling.